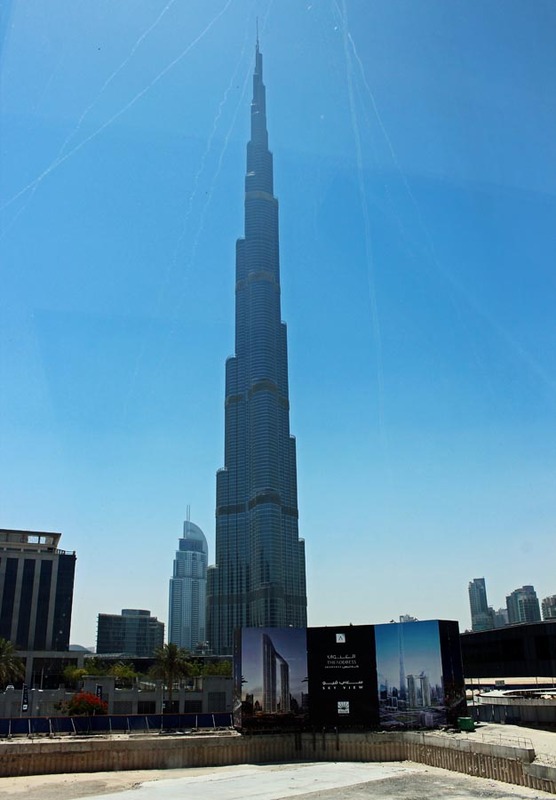 It is more than double the height of the Eiffel Tower (Paris) and almost double that of the Petronas Towers (Kuala Lumpur). 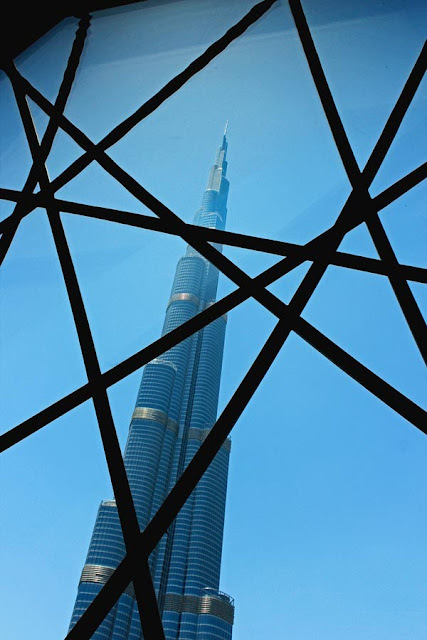 A photograph of the Burj Khalifa from the passageway which connects the metro station to the monument. A model of the Burj Khalifa. Construction never really stops in Dubai although it already looks like a spanking new city. 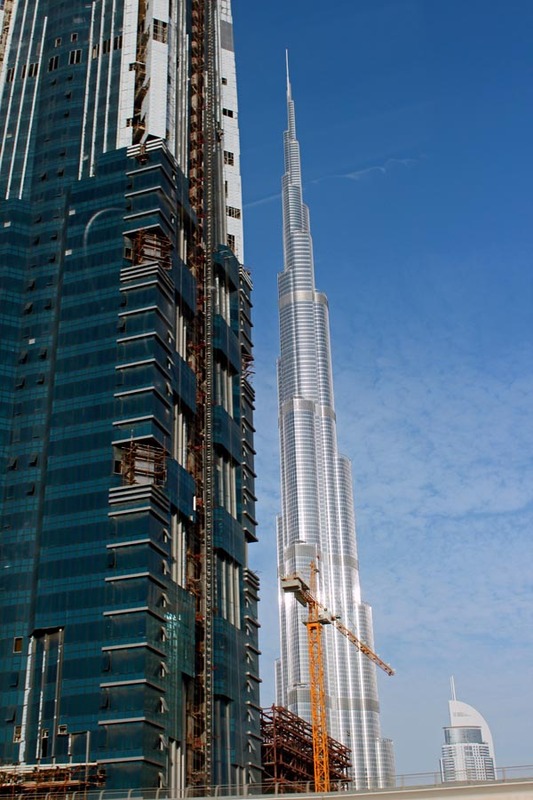 Here is a building under construction with the Burj Khalifa in the background. 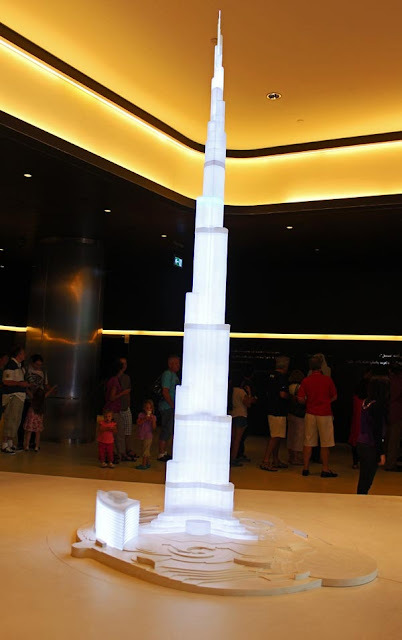 You might also like Skyscraper Sketches or Skyscraper silhouettes and illustrations or Hong Kong Skyscrapers or Shanghai skyscraper sketches and silhouette or the Shanghai Skyline by night.